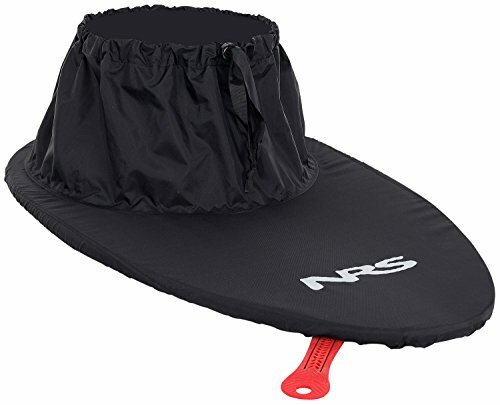 NRS Basic Nylon Kayak Sprayskirt - The NRS Basic Nylon Kayak Sprayskirt is ideal for touring or learning. Designed with sturdy urethane-coated nylon with an adjustable bungee for the deck and drawcord for the waist to provide full mobility. 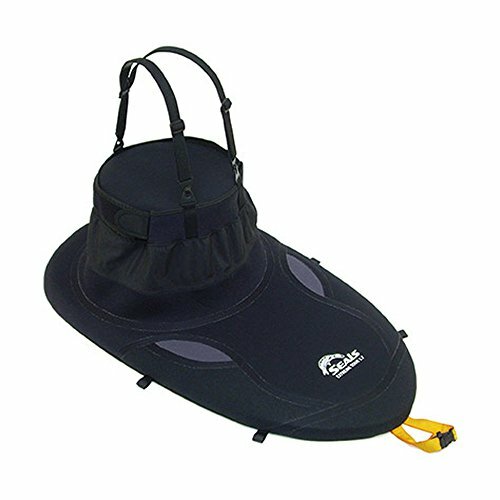 On the river or paddling a lake, the Basic is a great fit to keep rain and water splash out and keep you dry! Seals Sprayskirts Shocker Kayak Spray Skirt - The Shocker is a high performance neoprene kayak spray skirt designed for whitewater kayaking. It is perfect for the extreme paddling conditions of whitewater boating.The bungee attachment, along with rim grip/safety slip technology ensures the skirt stays put even in demanding conditions. A form-fitting anatomical tunnel helps to keep the cockpit dry, too. When you're looking for a spray skirt for your whitewater kayak then look no further than the Shocker Kayaker Skirt. For over two decades Seals has had the privilege of being the spray skirt manufacturer for almost every kayak manufacturer in North America. They have been the spray skirt supplier for every United States Olympic Team since the Los Angeles games in 1984. They have a reputation for strong customer satisfaction and produce spray skirts that meet the challenging and ever-changing requirements of paddlers. When you buy a Seals spray skirt you're buying a product crafted with pride. 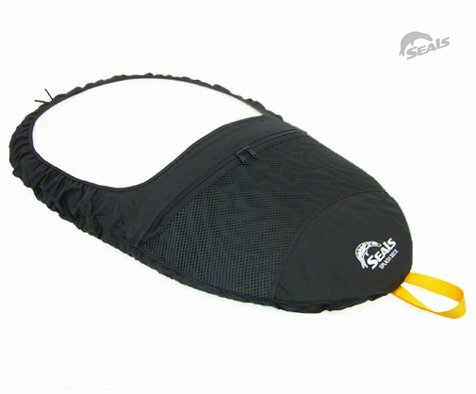 Seals Sprayskirts Sneak Nylon Kayak Spray Skirt - The Sneak is a high-quality kayak sprayskirt is constructed of medium-weight nylon pack cloth. A waterproof coating with double-stitched and sealed seams ensures a watertight fit. A water-resistant zipper on the front of the tunnel makes taking the skirt on and off provides easy, and provides access to the inside of your boat while paddling. The adjustable neoprene waistband and removable suspenders allow the Sneak to easily accommodate a wide range of paddlers. The shock-cord cockpit fits easily onto the boat, and rim grip/safety slip technology holds it firmly in place. A tensioned deck stay keeps the Sneak from sagging, and two zippered mesh pockets give you a place to secure small gear items. Taking on that gorge you've had your eye on will require the proper equipment. Outfit yourself with the Seals Surf Whitewater Skirt for ultimate comfort on the rapids. Built with durable and waterproof neoprene, this sprayskirt keeps the water out while still allowing you to breathe to prevent stuffiness. 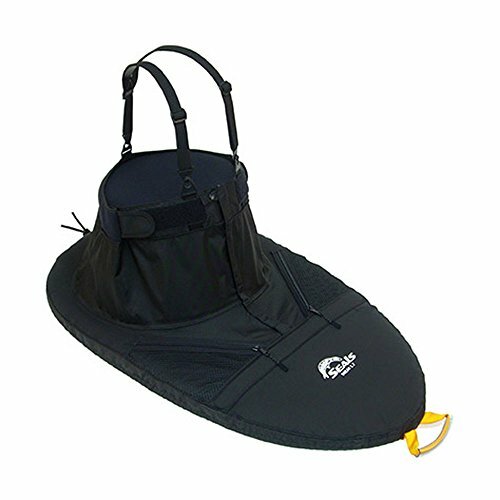 The drawcord closure keeps the tunnel in place while you paddle and take on tougher rapids as the glued and seam-sealed stitching holds up to any whitewater challenge. Immersion Research Shockwave Bungee Rand Whitewater Kayak Spray Skirt - The IR Shockwave Bungee Spray Skirt is the perfect skirt for beginner to intermediate whitewater paddlers looking for gear that is going to grow with them as they improve their skills. 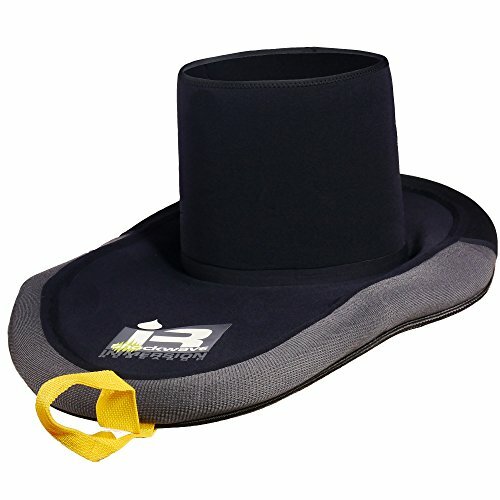 The mid weight bungee design makes it easy to put on and provides a dry fit for a multitude of cockpit rim styles. Seals Sprayskirts Extreme Neoprene Kayak Spray Skirt - When the going gets tough, the tough turn to the Extreme Neoprene spray skirt from Seals. This high-performance kayak spray skirt combines 3.5mm neoprene with a 3/8-inch bungee rand. This keeps your kayak skirt in place in even the roughest conditions, while still being easy to take on and off the boat. Seal-Tex edge guard help prevent abrasions in high-wear areas. The waterproof/breathable fabric tunnel mates easily with your paddling layers. 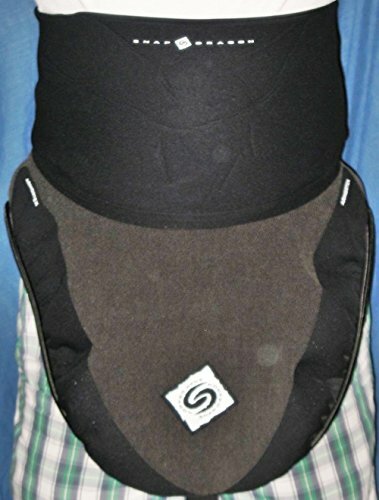 The Extreme Neoprene also features removable suspenders and an adjustable no-slip neoprene waistband. All seams are sealed to keep water where it belongs. The Seals Sprayskirts Extreme Neoprene Kayak Spray Skirt is one of our top selling skirts! 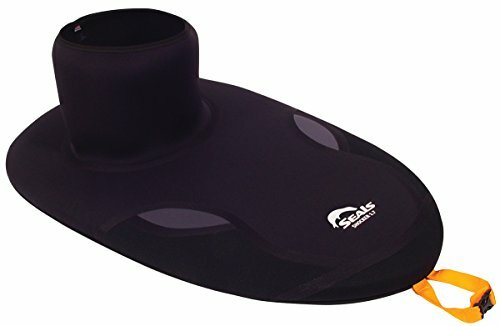 Seals Sprayskirts Pro Shocker Kayak Spray Skirt - The Pro Shocker Kayak Spray Skirt is a rugged whitewater skirt designed to withstand the most demanding river situations. High performance 3.5 mm neoprene is partnered up with Aramid fibers (Kevlar) for a top-edge wear guard that extends the life of the skirt. The 3/8' stitched bungee attachment, along with the rim grip/safety slip technology ensure the skirt stays put even in more demanding conditions. A form fitting anatomical tunnel helps to keep the cockpit dry, too. When you're looking for a whitewater spray skirt for those extreme paddling conditions look no further than the Pro Shocker Skirt from Seals! For over two decades Seals has had the privilege of being the spray skirt manufacturer for almost every kayak manufacturer in North America. They have been the spray skirt supplier for every United States Olympic Team since the games were held in Los Angeles in 1984. They have a reputation for strong customer satisfaction and produce spray skirts that meet the challenging and ever-changing requirements of paddlers. When you buy a Seals spray skirt you're buying a product crafted with pride. The King is a rubber sealed whitewater skirt featuring Rotex neoprene panels for added resistance against abrasion from your paddle. 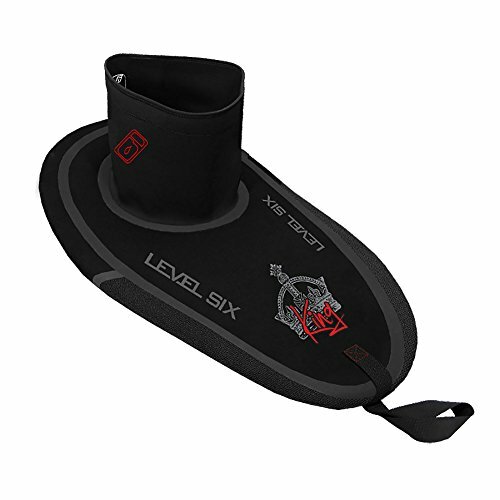 Tested on the Ottawa River, the King employs a super stretchy neoprene deck. It stays dry, provides a firm fit in the cockpit rim, and stands up to hardest paddling. 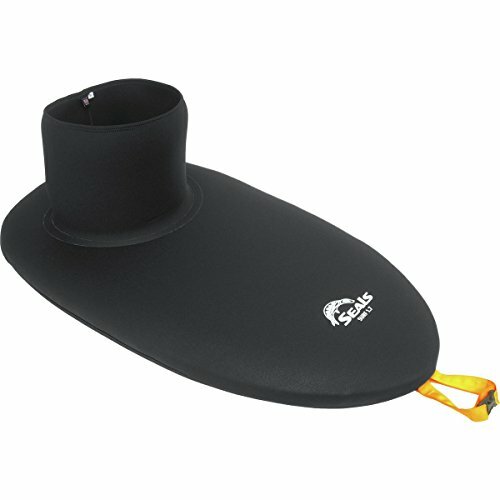 Compare prices on Whitewater Kayak Skirts at ShopPlanetUp.com – use promo codes and coupons for best offers and deals. We work hard to get you amazing deals and collect all available offers online and represent it in one place for the customers. Now our visitors can leverage benefits of big brands and heavy discounts available for that day and for famous brands.